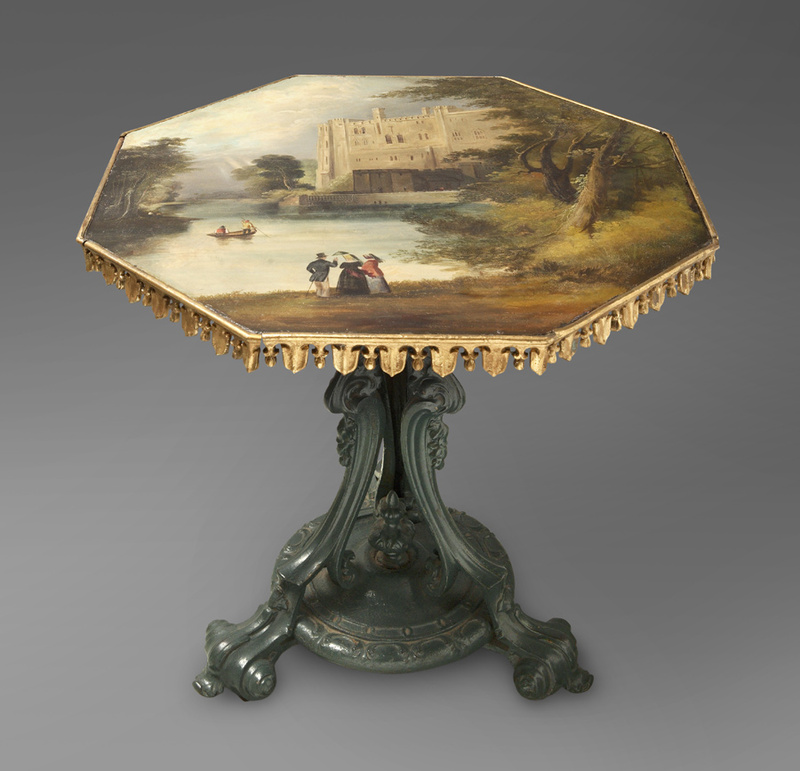 A fine and rare 19th century English cast iron octagonal table of solid construction. 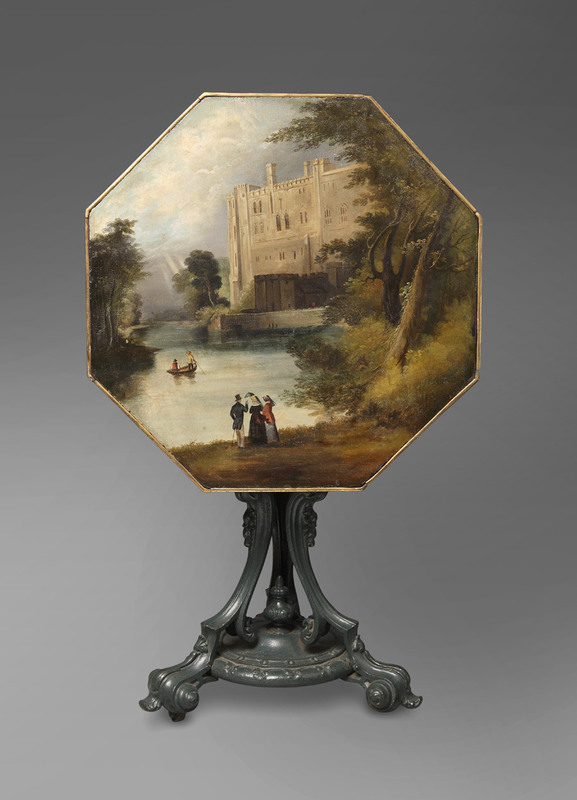 The top retains the original oil painting of Warwick Castle which has been cleaned and conserved. A cast leaf trim surrounds the painting and forms pendants. The tilt top is mounted to a heavy base in the naturalistic style. This type of table was used in conservatories or protected exterior porches. Note: The table base has been repainted. A great Cast Iron Garden item.